We’d made mention earlier this week about new music arriving soon from Aussie pop songstress and ‘The Voice’ judge Delta Goodrem. Her official website is still counting down to Friday morning next week, when the new single is predicted to drop at both radio and retail. Just moments ago, the singer has confirmed that the new single is entitled ‘Sitting On Top Of The World’ and revealed the official cover image (pictured above). 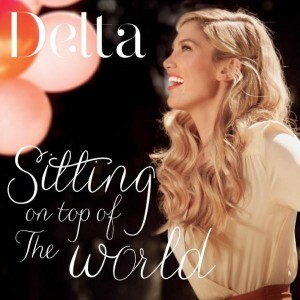 It will be Delta’s first new material in almost five years. I bet this will be incredible. Delta is a phenomenal star.